Can Olive Oil Reduce Your Risk of Breast Cancer? HomeWOMEN'S HEALTHCan Olive Oil Reduce Your Risk of Breast Cancer? 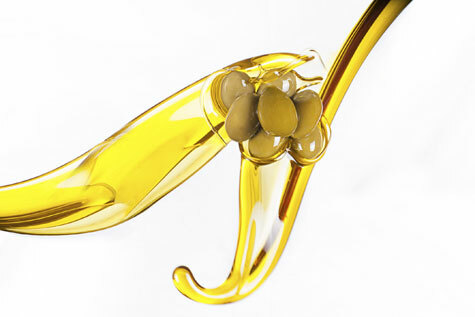 Olive oil has been lauded for everything from being a heart health hero to a split ends saver. But according to new Spanish research, it might be your new breast BFF too. Researchers followed 4,200 women over a six-year period and tracked their incidence of breast cancer. All the women in the study were on the Mediterranean diet—which is high in fish, nuts, and heart healthy fats—but some of the women were assigned to an extra dose of extra virgin olive oil, while others were assigned an extra helping of nuts. The results: The women who downed the extra olive oil each day had a 68 percent lower risk of breast cancer (!) than those who followed the plain old Mediterranean diet guidelines or those who consumed more nuts. See Also - Can A Daily Dose Of Aspirin Prevent Cancer? The cancer-fighting key likely comes from the monosaturated (a.k.a. "good") fat found in olive oil. It's also packed with compounds called phytonutrients, which help to lower blood pressure. This isn't the only example of the powers of olive oil. Mary Flynn, Ph.D., R.D., a dietitian at The Miriam Hospital, has been touting the benefits of the Mediterranean diet—and especially extra virgin olive oil—to her patients for years. In fact, she recommends that her patients with breast cancer down at least three tablespoons a day. And in case all the disease-fighting benefits aren't enough, the fats found in olive oil help you stay fuller longer, meaning you're more likely to actually drop pounds. Sold! To reap the breast-friendly benefits (and many others), swap in olive oil whenever you cook and look for foods high in monosaturated fats.